The capital of Massachusets, Boston, is one of the oldest cities in the United States, founded in 1630 by English settlers. Boston is the first city in the US to open a public school, a subway, a public park and many other. This historic city also played an important role in the American Revolution (1765-1783), when the American colonists decided to refuse the tax demands of the British Parliament. Today, Boston is a modern city with an estimated population of 646.000 residents. Proud of its history, the citizens of Boston take care of its historic sites. One of those is the oldest house in Boston, the Paul Revere’s House.Paul Revere was an early industrialist who lived in Boston. Born in 1734, Paul was a prosperous silversmith and engraver. Revere was also known as a patriot who fought against the British forces. He helped establish an intelligence and alarm system, to inform the revolutionaries about incoming British troops. His best-known deed is the alarming of the colonial militia before the battles of Lexington and Concord. Later, Paul served as a militiaman for the Massachusets army. His service ended after the Penobscot Expedition, one of the most disastrous events in the American Revolution. During the expedition, Paul served as one of the commanding officers but was later absolved of blame for the disaster. After the war, Paul Revere turned to his business, which he managed to expand and became the first American who successfully turned copper into sheets, used as sheathing on vessels. Paul Revere died in his house in 1818, at the age of 83. 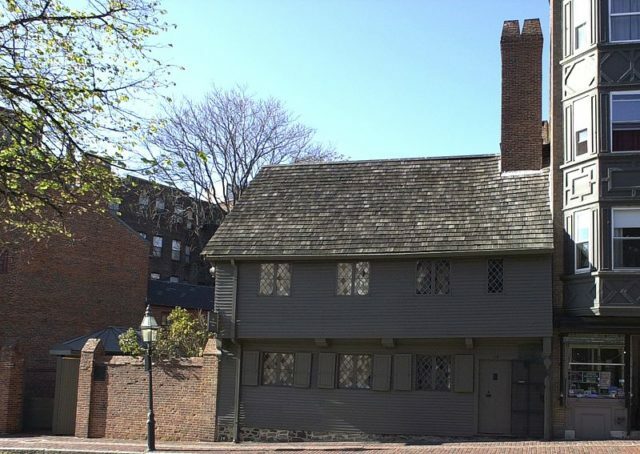 Besides being a successful businessman and a member of the revolution, there is one more thing for which Paul is famous for: his colonial home is the oldest house in downtown Boston. The house was built in 1680 on the grounds of the burned house of Increase Mather, minister of the Second Church. The two-story timber house was built in a typical Massachusets way of building, with heavy framing posts and overhead beams. First, it was owned by the wealthy merchant Robert Howard and had a larger first floor with a spacious lobby, dominated by its chimney bay. 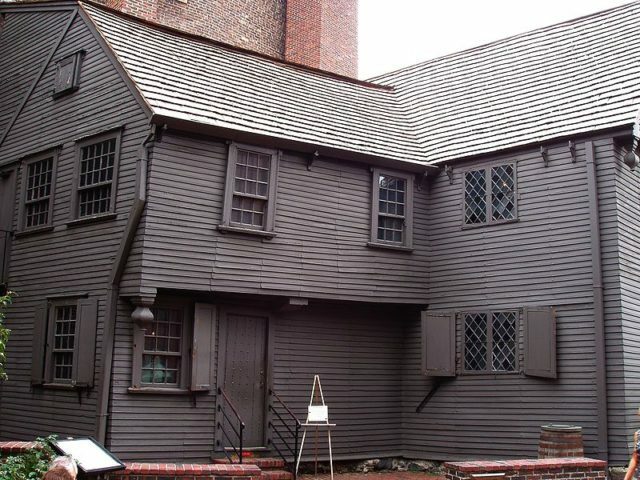 The 35-year– old Paul Revere bought the house in 1770, as a new home for him, his wife, their children and his mother. His first wife, Sarah, died after giving birth to their eighth child. Later, Paul married a woman named Rachel, who gave birth to another eight children. Afer becoming Revere’s property, the house had two major renovations. The first one included roof repairs, which was made in the Gregorian architectural style. During the second renovation, a two-story lean-to was added in the wing between the two older parts of the house. Although the house was Revere’s ownership from 1770 to 1800, it is possible that Paul and his family lived elsewhere in this period. In 1800, Mr. Revere sold the house. After the sale, the house had served as a cigar factory, candy store, flower shop, a bank and a fruit shop. In 1902, a plan for demolishment of the house was made. 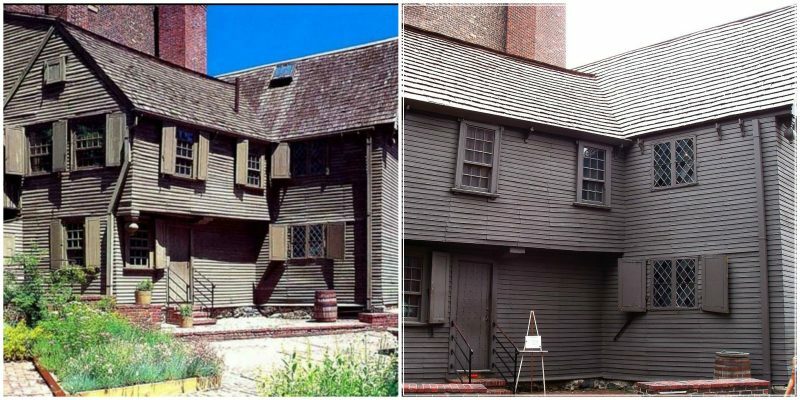 To prevent this, Paul Revere’s grand grandson John P. Reynolds Jr bought the house, paying 12.000 $ to the owner. After the purchase, Reynolds hired the architect and preservationist Joseph Chandler to restore the house to its previous state. Six years after the acquisition, a group of Revere’s relatives, local officials, Patriots, and preservationists started collecting money for the renovation, and that’s is how the Paul Revere Memorial Association was formed. They managed to raise 30.000 $ for the restoration, so in 1906 the house was opened to the public as one of the first house museums in the United States. The house kept some of its original furniture owned by the Revere family. 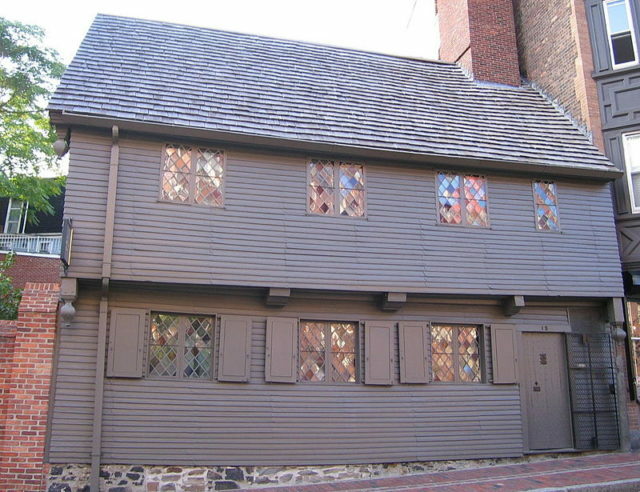 Even today, the Paul Revere Memorial Association maintains the house. 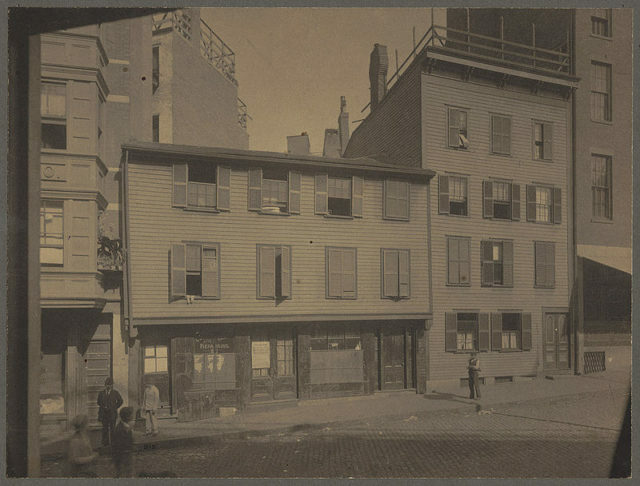 In 1907, they were registered as a non-profit organization dedicated to the preservation of the memory of Paul Revere and his house.